Mentees: Know what your objectives are. Be clear about what you want to achieve and how you think a mentor can help you. Set out key goals to organise your meetings around. Mentors: Be clear with your mentee about your role and what you can offer. Let them know about the experience you have and if you think you can help with their key goals. Knowing if a mentoring relationship is going to work is a lot about instinct. Use this first meeting to get to know each other by asking questions and listening to one another. It is important to have an open discussion about what you are both looking to get out of the scheme. This will ensure that expectations are met and that there is no misunderstanding about roles and responsibilities. Please let us know how the first meeting goes. If the mentoring match does not feel right for any reason, please let us know immediately and we can discuss options. The nature of the mentoring relationship means that, sometimes, issues of a confidential nature are discussed. Participants agree to keep such information confidential at all times. It is a good idea to acknowledge this in your first meeting. Confirm the frequency and timing of future meetings and try hard to stick to this agreement. We suggest you try to meet every 4-6 weeks for around an hour. It is useful to meet in the same place each time, so there is some consistency. 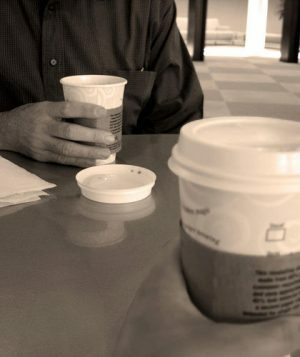 At the beginning of the mentoring relationship it is important to set a potential end date for your meetings together. This will ensure the period of time you work together is structured and both parties are clear on how long it will last for. It is always possible to extend the end date if you feel you need to. One way of structuring this is to arrange three meetings after your initial meet and agree to review where you have got to on your fourth meeting. Assess what you can realistically get done in the time you have together. A basic timeframe with objectives will give your meetings purpose and allow you to see results. Mentees should summarise any learning or action points from a meeting as a follow up email and clarify what they would like to cover at the next one. It would be great if you could check in with CharityComms from time to time to let us know how the mentoring is going. When the mentoring has finished, we will ask you to fill out an online evaluation form. You may find it useful to look over the questions we will ask you in this before your final meeting. You can find them here. Set aside the whole of the last session for reflecting on the process and relationship and how you feel it went. It is important to discuss what went well and what you both gained from the experience. Consider the objectives that you discussed in your first mentoring meeting. This is also an opportunity for mentees to discuss any outstanding issues. Together you can brainstorm some ideas of how to move forward with those. Decide together how you will keep in contact in the future. Get in touch with CharityComms once the mentoring relationship has come to an end and we will be in touch with an electronic version of the evaluation form for you to both fill out.